By meeting the needs of young people in communities worldwide, Optimist Clubs have been "Bringing Out the Best in Kids" since 1919. 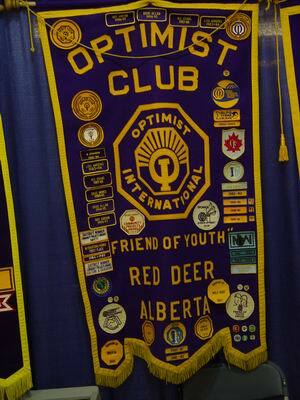 Optimist Clubs conduct positive service projects aimed at providing a helping hand to youth. Club members are best known in their communities for their upbeat attitudes. By believing in young people and empowering them to be the best they can, Optimist volunteers continually make this world a better place to live. There are 100,000 individual members who belong to 3,500 autonomous Clubs. Optimists conduct 65,000 service projects each year, serving six million young people. Optimists also spend $78 million on their communities annually. 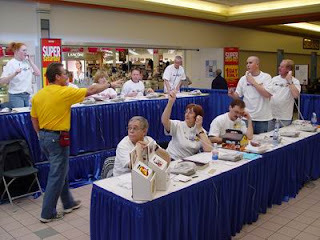 Each Optimist Club operates autonomously. They choose their own programs, elect their own officers, and raise their own funds. Decisions are made by the club board of directors. 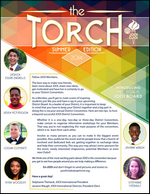 The board includes the president, secretary - treasurer, vice presidents, past president, and elected directors. The president, vice presidents, and directors are elected by the club members; the secretary-treasurer is appointed by the president. The club president is the key officer of the club. An effective president runs good club meetings, directs and organizes the club to meet its goals, and brings together all members as a contributing team. The secretary-treasurer handles finances and maintains club records. 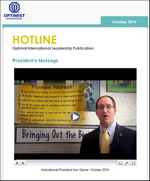 The club foundation representative provides information on the Optimist International Foundations and encourages contributions from the club and its members. Community Service - Organizes community-service projects. Fellowship - Stimulates attendance and fellowship at meetings, and plans social functions. Finance - Oversees the club budget and develops fund-raising projects. Membership - Works to attract new members and orient them to the club. New Club Building - Starts a new Optimist Club in a nearby community. Programs - Arranges programs for club meetings. Public Relations - Publicizes and promotes the club to the media and the general public. Many times, a representative from this committee publishes the club bulletin. 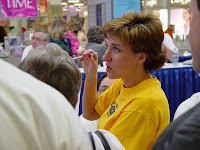 Service Programs - Conducts community and youth service programs. 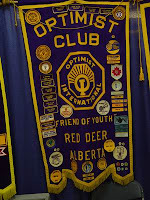 The club is chartered as a member of Optimist International, giving it the right to use the Optimist name, and providing access to the programs and services of Optimist International. You can learn more about Optimists, including how to join a local club or start a new club in your community. Please see our website for more details.